I got the iPad 2 on Monday. Someone bought one for me in New York and delivered it to Amsterdam where we aren’t getting them until the end of March. There is a lot to love about the iPad 2 and in general I’m a happy camper. But I have also noticed some awkwardness and suckiness which I’m happy to share with you here. Seriously. I was unpacking the iPad 2 and trying to attach my trusted USB Cable to Dock Connector but I couldn’t get it in. I showed it to someone else and they also concluded it didn’t fit. We took the new USB cable out of the box assuming they had just changed the connector, made it smaller. But the new connector also didn’t seem to fit. Only after we forcefully jammed it in it turned out to fit. I’m sure I will get used to it but it just feels awkward and un-Apple like to make an adapter that at first doesn’t seem to fit. Okay, so it DOES fit, but then sticks out? After you manage to get the USB cable in it sorta sticks out. Check the photo on the right here. See that? 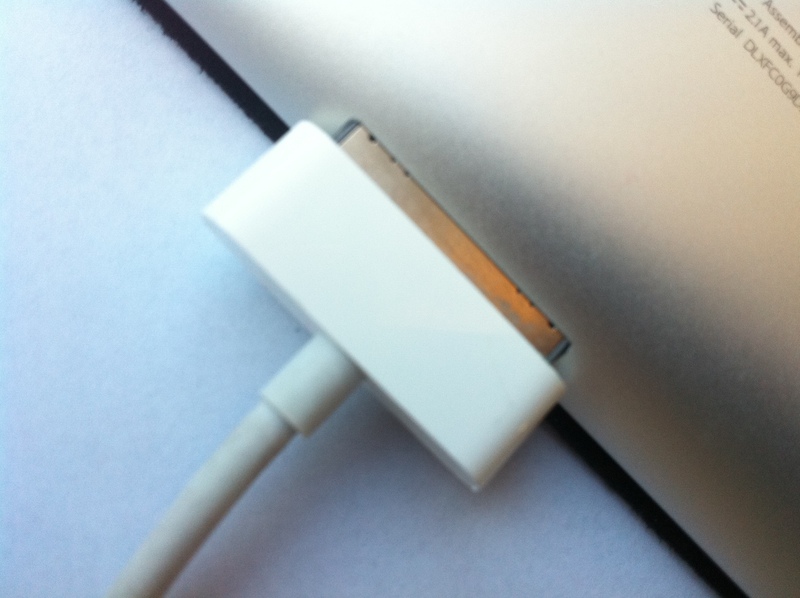 Because the side of the iPad is slanted the USB cable doesn’t align with the back. I’m sure it doesn’t matter but again, it just feels unlike Apple to design something like this. Apple is all about attention to detail. Connectors with their insulation showing doesn’t seem like something that Steve would approve of. Those Smart Covers? Maybe I’m just not smart enough for them but they certainly don’t align with the iPad as easily as they do in the commercials. So call me a fool for believing commercials. 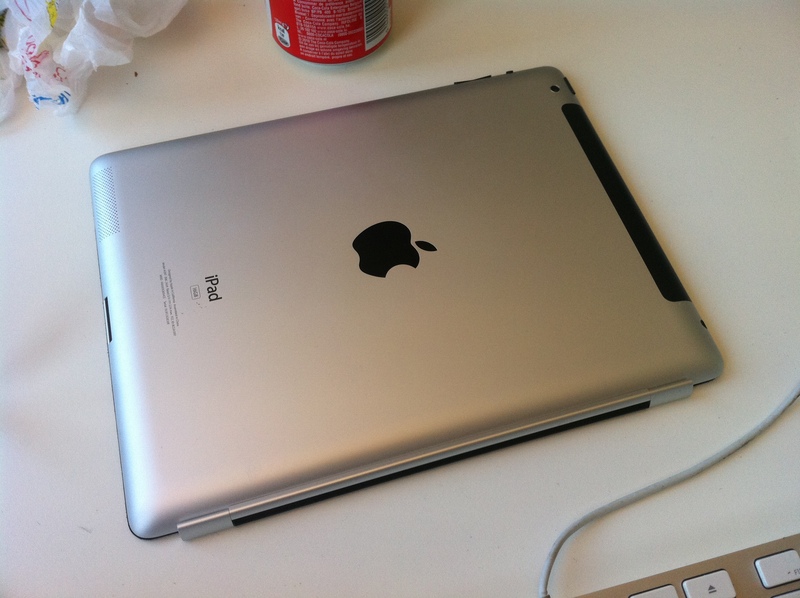 Still, when you show the iPad to other people and ask them to take off the Smart Cover and re-attach them you can expect a minute of awkward fumbling around, trying to find the side to adjust to and fiddling with the cover to position it correctly. Rolling it up isn’t easy either. That doesn’t look right either? So now what? Should I cover all my tables with felt? 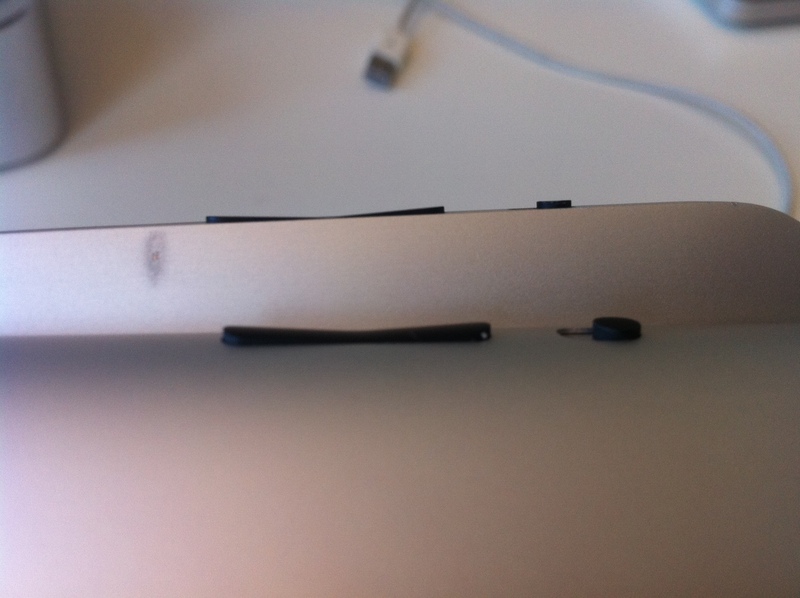 How come Apple designed a cover that covers only the most scratch resistant part of the iPad and not the back? Okay, maybe I’m exaggerating. ‘Hurt’ might not be the right word here. But the old Mute and Volume switches stuck out about one millimeter, or less. The new buttons stick out 1,5 or maybe even 2 millimeters. Might seems like a small change but with the old buttons you could glide your hand over the side and feel the buttons without getting snagged behind them. The new buttons are unavoidably there. Nice when you need to find them as they are hard to miss, but awkward and unfriendly when all you want to do is hold the iPad. Again, no dealbreaker with still noticeably different, and not in a good way. Is it a glass plate? Is it a screen? 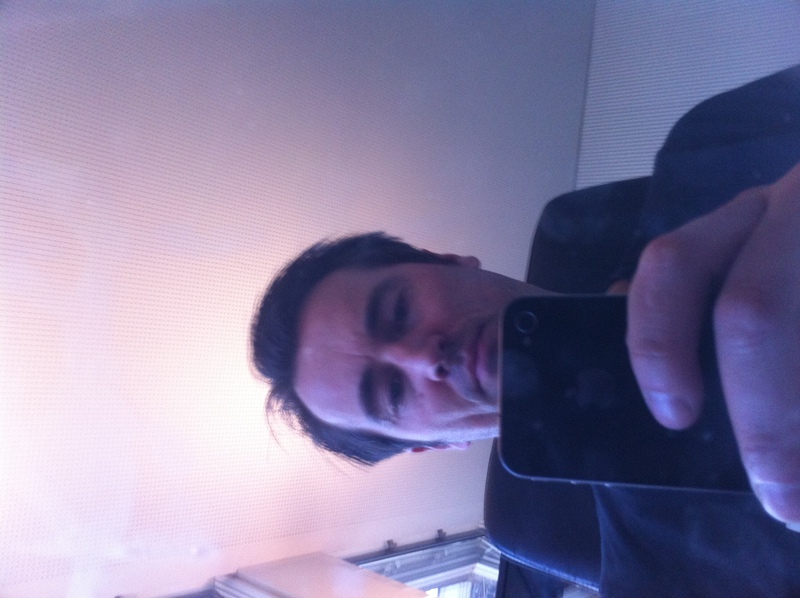 No, its a mirror! Everybody knows that the iPad screen is difficult to read in direct sunlight. And even just indoors the iPad screen can often reflect everything around you making the screen virtually unreadable. We would have expect Apple to come up with a simple and elegant solution to that. Something high tech like, oh, maybe non-reflective screen? Come on Apple! You know that works and would be a simple solution? It’s an option for the MacBook so we know you know the technology exists! What happened here? So, do I dislike the iPad 2? Do I think it is overrated? Hell no! Took me quite some time and creativity to compile a list of stuff I didn’t like. I was aiming for ten complaints but only got to 6. Go figure. I love the iPad 2 and totally recommend it whether you own no iPad or the iPad 1. But that doesn’t mean everything is all peaches and sunshine in AppleLand. There is always room for improvement and I’m sure Apple is already working on the iPad 3, which will fix all of this and will be even cooler.